SEE YOUR BABY IN AMAZING DETAIL! There are only a few moments in life as exciting as seeing your precious baby for the very first time. This cutting edge technology can show highly detailed facial features as well as thumb sucking, yawning and even smiling. You can see your baby move around and count his or her fingers and toes! We offer elective ultrasound services for almost every stage of pregnancy! Theatre setup! Seating for up to 12 guests. Located in Gilbert, Az on Higley and Pecos Rd. Call or text 480-300-9724 or book online 24/7! Great for first peek at baby! Nub theory gender guess upon request if you are at least 11 weeks and baby is in the right position. Includes three ultrasounds in one package. Heartbeat animals are an adorable pregnancy keepsake for you to cherish for years to come. Want to remember your ultrasound forever? We can record your scan onto a DVD during your session for you to take home. It will even be set to music. Only 1 DVD can be recorded per scan but your are more than welcome to make copies. While most packages come with a email of all your photos this is a great option for those who wish to have a physical copy of your photos on a disc. Having a gender reveal? Add a powder popper to your package for $18 or two for $30. We discreetly determine gender and give you the correct color popper to take home after your scan. This is a fun and exciting way to reveal your baby's gender. Had them do an ultrasound Saturday and it was the best experience! They have plenty of seating to bring family! Highly recommend! Got to see my little bean kicking around like crazy!! He was chilling on his stomach the whole time being stubborn and not wanting to flip over and the tech had me move around and he FINALLY flipped so I can see his cute little nose! Would definitely recommend this place. Lots of space in the room and both of the girls are super friendly! We loved coming to Prenatal Premiere! The office is cute and well designed! My doctor was unable to get a clear shot of the gender due to the umbilical cord blocking his view so we came here for a 2nd look before our gender reveal party! Anissa was very professional and patient. We loved how she took time with us and explained everything we were seeing! Looking forward to going back for our 3D ultrasound when I am around 30 weeks!!! WOW! 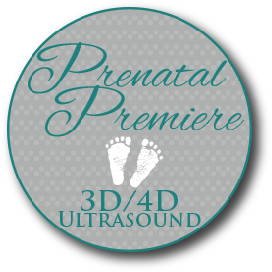 I could not be more happy with my experience at Prenatal Premiere. Immediately when I walked in, I was warmly welcomed and taken back right away for my appointment. The ultrasound tech was incredibly knowledgeable, excited to see our baby, and took her time. I'll attach some photos to this review. The quality really speaks for itself! I would absolutely 1000% recommend Prenatal Premiere for an ultrasound! 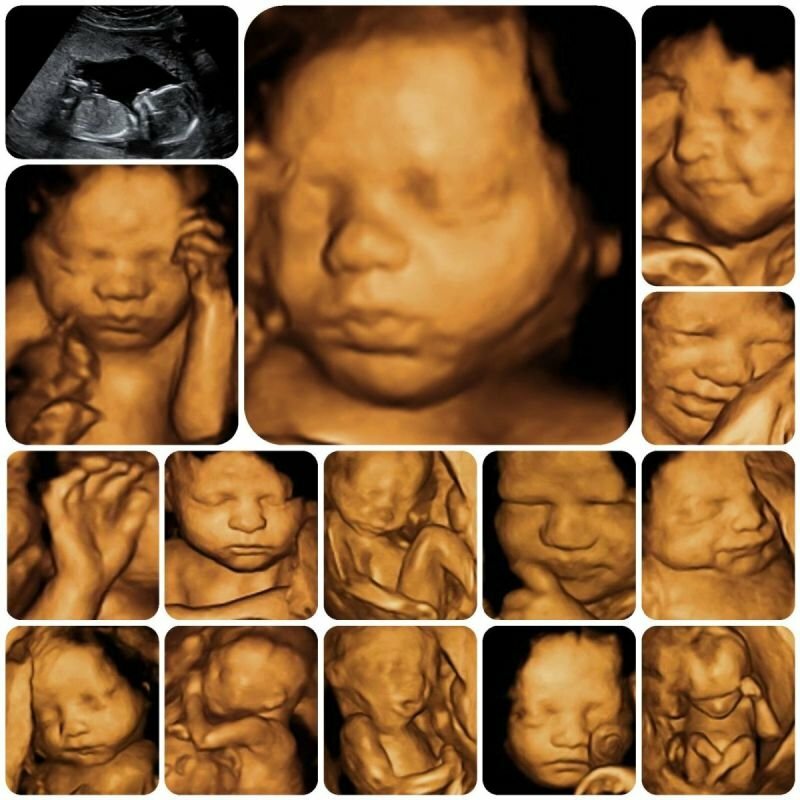 I went for a 3D/4D ultrasound at 33 weeks and loved that they had Sunday appointments! I was able to invite my family to attend, as they have comfortable couches and a huge screen (think theatre style). Seating is enough for 10, I had 8. Service here was excellent, our technician was really nice and very informative/thorough. We received some beautiful photos and her heartbeat in a stuffed animal. My family and I had a wonderful experience and I would definitely recommend coming here! Went to premiere parental at 15 weeks 1 day to get my gender scan! We were able to see that it, was indeed a little boy very quickly! The tech was so sweet and since I hadn't gotten a good picture of the babies profile she worked with my uncooperative little dude to get a great picture for us! It was also awesome that they had toys in the room because my 9 month old son had something to do also! Thank you for a great experience! I was 19 weeks pregnant and couldn't wait until our official anatomy ultrasound at our doctor's office so we called in a frenzy and got a same-day appointment! The ladies were so helpful, friendly and kind and we had a fantastic experience! It's a very comfortable and enjoyable atmosphere. The technician was wonderful and the images will be cherished for many years to come. I highly recommend this place for a sneak peek of your baby. It's a girl! Went here to find out the gender at 15 weeks. They were super patient since my girl likes to face my spine. She got her to turn around and took some seriously amazing photos. Would absolutely recommend and I will be going back for more when I’m further along. They will also be careful if you are doing a reveal. We were and they were really great about keeping it a secret! Such a friendly staff! Genuine smiles and happiness all around. Very comfortable environment, also, very spacious, updated and cozy!! Glad I found out my gender here. This place is amazing! The environment is cozy and they made my family and I feel right at home. We received the best quality pictures and the tech knew right away the gender of our baby. I would definitely recommend this place to any expectant parent!! Great experience. Our ultrasound tech Anissa was really lovely and took some great pictures. Definitely would reccomend to anyone! Have been able to find out the gender of both my babies here at 15 weeks, and they were right both times! Everyone here is very sweet and it’s a nice clean place. Lots of seating if you have other people joining you for your ultrasound. Highly recommend! This is the best place ever and experienced! I highly recommend. This place is amazing! My husband and I just had the best experience we've ever had compared to any other ultrasound business we have been to. The receptionist and tech were SUPER sweet and friendly and made us feel very comfortable. This is definitely our GO TO place for the future and I would highly recommend it to everyone!!! Prenatal Premiere was a life saver. We had an ultrasound this morning and they were unable to determine . I then called Prenatal premiere and they were able to get us in 20 minutes later and she was able to determine gender.